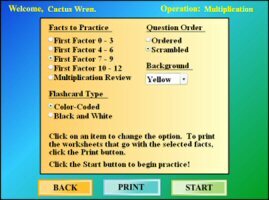 Cactus Wren Education Solutions - Featured product: Learn basic number facts quickly and efficiency using color-coded flashcards and audio readback. 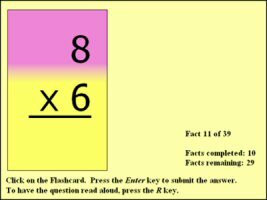 Learn number facts quickly and efficiently! Developed by a mathematics educator and classroom tested, Number Facts Mastery uses a systematic approach to help students learn addition, subtraction, multiplication, and division facts. Learners have the opportunity to select lesson options, practice facts, print out worksheets, and receive lesson feedback. 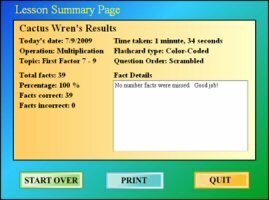 Color-coded flashcards and audio readback are included features. 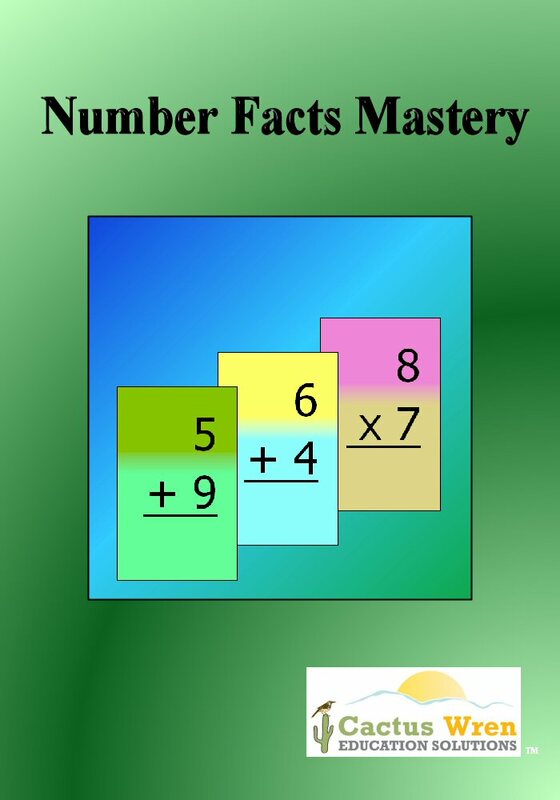 Number Facts Mastery is designed to be inclusive to learners of all age ranges, whether it is the elementary school student seeking additional practice, to the adult re-entry student who wishes a quick refresher for facts that are a little rusty. Click any of the product images below to enlarge. If you have additional questions about this product, please contact us. For school/campus, multi-campus, and district pricing, please contact us to request a quote. 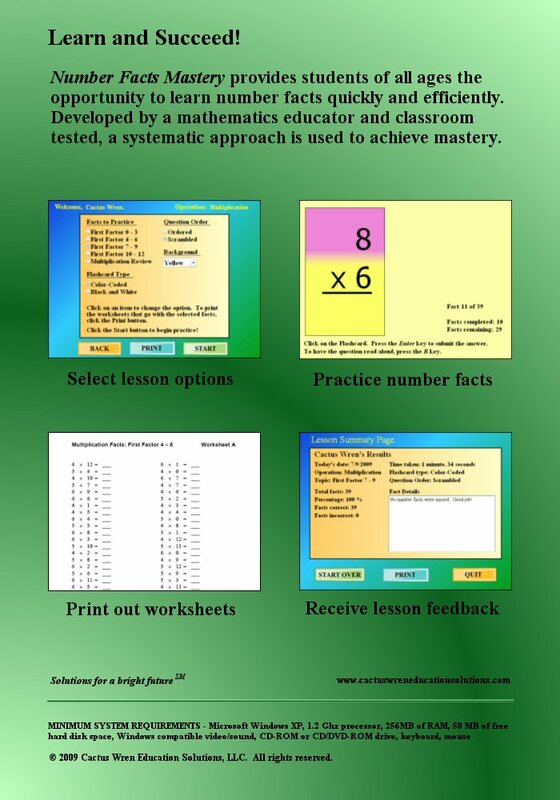 A trial version (with functionality limited to addition and subtraction) can be downloaded for free. When you buy Number Facts Mastery, the security of your online purchase is important to us. To provide this safety, we have partnered with MyCommerce (from the Digital River network) to provide ecommerce services, so you can shop with confidence knowing that your transaction is safe and secure. We value your privacy. We do not sell or disclose any personal information to third parties. Copyright © 2013 Cactus Wren Education Solutions, LLC. All rights reserved.